Here's an incredible prediction effect using the spectator's own phone and their own Instagram app! 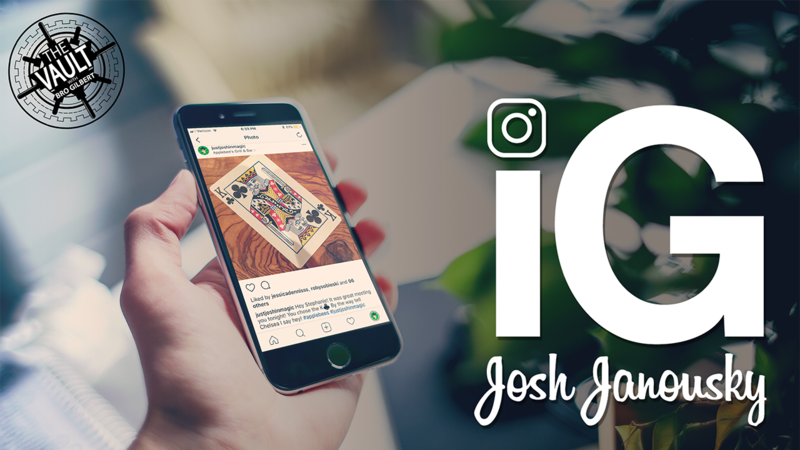 Get the entire audience to interact, gain new followers, and foresee the future using Instagram. A participant opens her Instagram app to find an impossible revelation. Your Instagram post - shared several months earlier - perfectly predicts the participant's previously chosen card. But it doesn't end there... the best stuff is in the post description: it incredibly contains HER name and a description of what she is wearing AT THAT VERY MOMENT! Remember, this was all posted MONTHS IN ADVANCE. IG is a new utility for social media magic. Without using any special apps, you have the ability to reveal anything: playing cards, names, outfits, and more. IG doesn't require any stooges, assistants, or pre-show, and it all takes place on the legitimate Instagram app. Download the video now for immediate learning!